Lee and Elle have been best friends since birth. As luck would have it, they were born on the same day, at the same hospital. They’ve grown up together and survived everything life has dished at them, until they run a kissing booth at the school carnival. Elle ends up sharing a firework-inducing smooch with Noah, Lee’s off-limits older brother. Noah couldn’t have feelings for Elle, that would be completely insane—or could he? 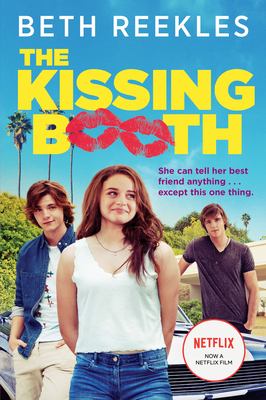 Charming, awkward, and sweet (like any first kiss) The Kissing Booth, is a fun read that you have to polish off before you see the Netflix movie!